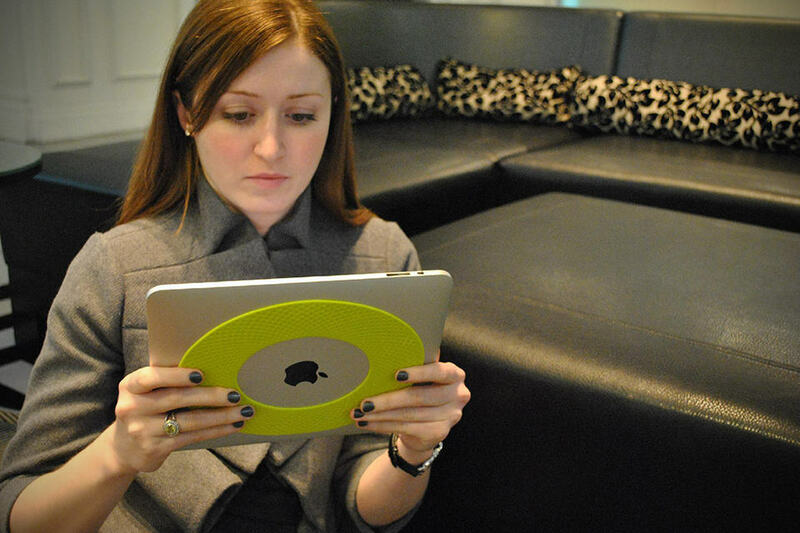 love going all-natural with your iPad? like not having anything on just so you could appreciate its beautiful lines? while we share this love of unprotected iPad, we can’t help but to notice its sleek aluminum back, though lovely, poses a slip hazard and this where a simple accessory such as the grapple can lend some help. so what’s exactly is grapple? grapple, as the name implies, is a non-slip grip pad for iPads that is designed to let you have a better, more secure grip on your tablet without being obtrusive in anyway. basically, it is a high-quality Thermoplastic Elastomeric material, oval in shape, slapped on the back of your iPad, giving a soft and yet firm grip. and the oval shape design is not there by accident: it was specifically designed so that you will be able to enjoy the extra secure grip no matters how you orientate your tablet. it is a simple concept that will greatly improve your iPad experience – that’s if nudism is the way you prefer for your iDevice. 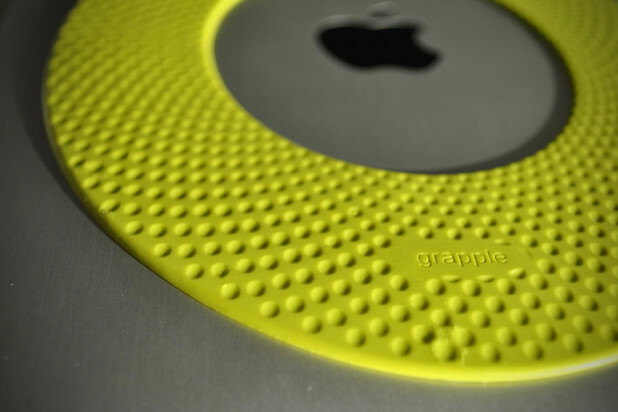 in fact, the grapple application is wide and varied as far as gadgets are concerned. 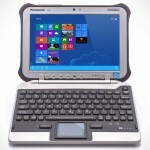 it can be used across all generation of iPad (except iPad mini), MacBook Air and other 10-inch tablets in the market. you can grab yours for just $15 a piece now via grapple web store. thanks Ani for the hat tip!